Want to experience a week like Shaolin training, but without traveling to China? Then clear your week for Monday March 12 through Saturday March 17 because we will be training with 24 Seminars in these 6 days! This will be Pai Lum at its best with 8 different teachers including Sifu William Luciano from New York and Sifu Milton Rivera coming from Washington DC. 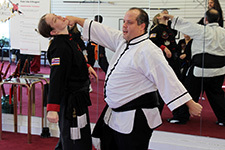 This will be an extraordinary week of Pai Lum training whether you take 3, 6, 12 or all 24 Seminars! All active students in the White Lotus Association receive 3 class seminars for free! 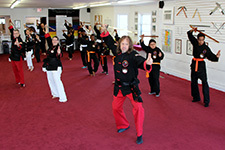 All active students in the White Lotus Association receive 3 class seminars for free in lieu of their normal classes! Testing will be on Friday February 23 at 5 p.m. An Awards Ceremony for all to watch will be at 6:30 Intermediate-Advanced testing will be earlier on that day, check your test invitation. All Pai Lum students are welcome to visit our Southern brothers and sisters in Daytona Florida for Chinese New Years Celebration and training on February 24 & 25. Talk to Sigung if you are interested in going! Saturday February 3 at noon all tai chi students will receive a free seminar from a visiting master in yoga, Marie Coakley, from 12- 1:15. Students not enrolled in tai chi may attend the seminar for $15. Rising Dragon will be open for classes on cold, snowy days! We only close if Milwaukee Public Schools (MPS) also closes due to inclement weather. This is Wisconsin – it’s cold! 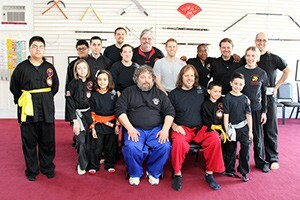 But warm yourself up with some hard, fun training with your kung fu family!